The Mid-Carolina AHEC Board of Directors welcomes Dr. Sam Stone of Lowrys Family Medicine in Chester, SC as Board President. 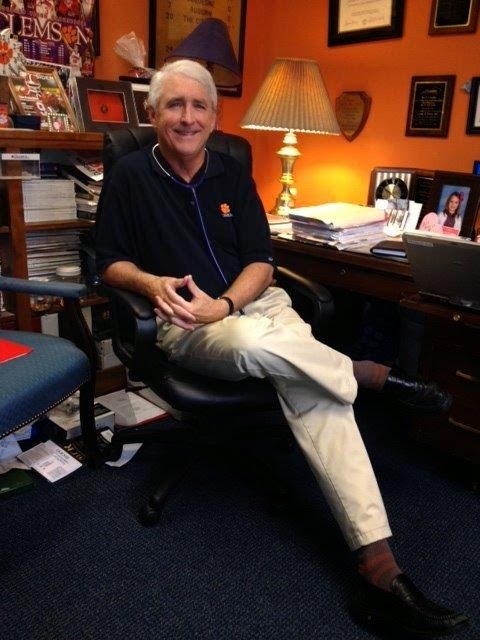 Dr. Stone is a Chester County native and graduate of Clemson University and the Medical University of South Carolina. As a strong supporter of clinical experiences for students in rural areas, Dr. Stone has served as an exemplary preceptor for 3rd year medical, physician assistant, nurse practitioner, pharmacy and nursing students for over 25 years! Dr. Stone is held in the highest regard by his colleagues, his students and the South Carolina AHEC system. In the past he has served as the President of the South Carolina Academy of Family Physicians; been named a South Carolina AHEC Preceptor of the Year and Preceptor of the Year for MUSC’s Physician Assistant program; and remains a passionate legislative advocate. As the incoming President of the Mid-Carolina AHEC’s Board of Directors, Dr. Stone brings significant leadership, personal passion, commitment, depth and insight into the challenges and opportunities ahead for the healthcare delivery system in South Carolina, specifically in the rural and underserved communities. To learn more about Mid-Carolina AHEC, visit their website.